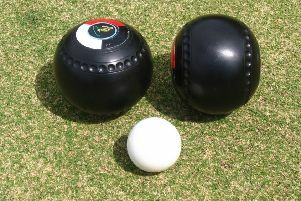 West Lothian continue to endure miserable times in the A Division of the gents indoor bowls Premier League with the not-so-long-ago three -in-a-row champions suffering an 88-60 home defeat by Blantyre. This was West Lothian’s third defeat in five leaving them to enter the second half of the campaign six points adrift of table-toppers Midlothian and four behind second-placed Blantyre. Blantyre inflicted punishment on the home rinks skipped by Calum Logan, James Speirs and Neil Speirs with team captain Thomas Mann the only one spared defeat with a peel. Mann was heading for a win when skipping Nathan McKendrick, Grant Knox and Jamie Gracie on a run of 2, 2, 1, 2, 1, 1, 1 to lead 14-11 before conceding 1, 2 against Stewart Anderson. Lean times for Logan and his front-three of Blair Mackie, Barry Sword and Cameron Greer included dropping a seven at end 19 in a 24-12 defeat by Scott Bishop. James Speirs and his rink of James Greenock, Dougie Mitchell and Craig Moss stood 12-6 up before a 1, 2, 1, (1), 5, 3 (3), 2, 4, 3, (1) collapse led to a 27-17 defeat from Brian Irvine. Neil Speirs skipped Jamie Aitken, Raymond Logan and Paul O’Donnell into a 13-8 lead but finished up being outgunned, 23-17 by Iain McLean.